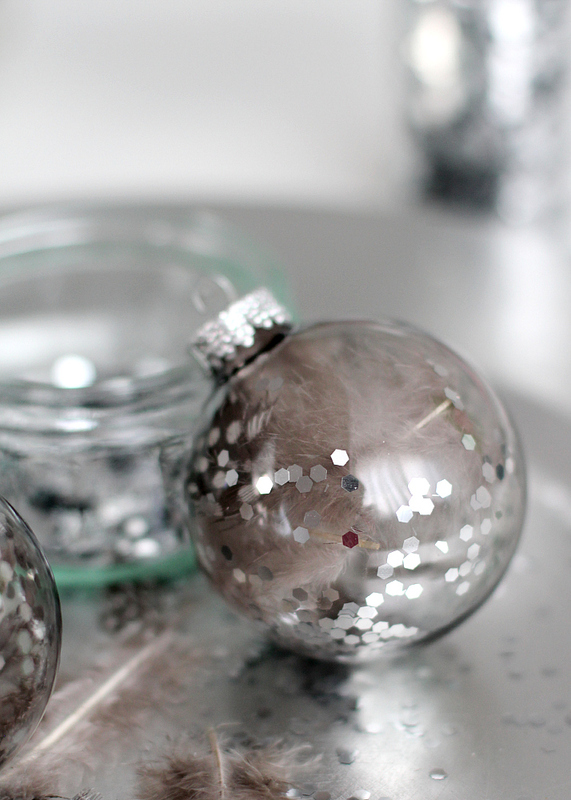 Around Christmas time we always feel a little extra inspired in terms of DIY projects. Whether we’re making our favorite caramelized pear jam with fleur de sel as gifts for family and friends, creating cute festive place cards or decorating the apartment with handmade wreaths – there are plenty of projects for the holidays! 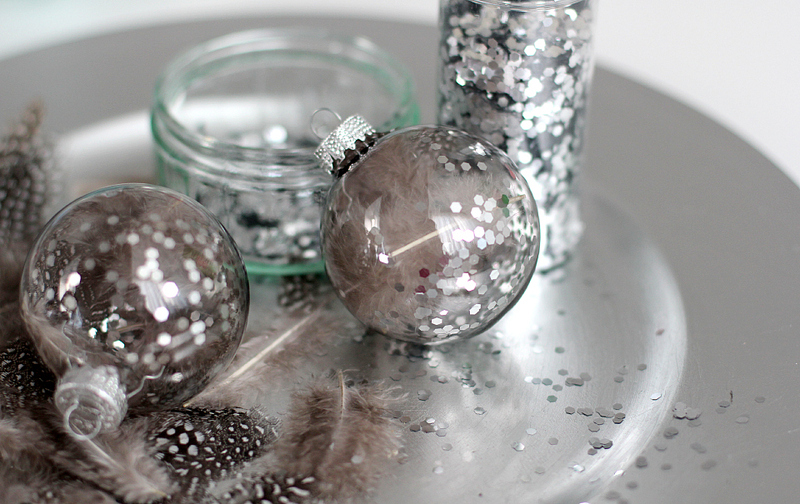 This past weekend we tried ourselves at pretty ornaments with feathers and lots of glitter. They are super simple, but oh so fun to make. And the best part, you could even use these if you plan on giving someone a gift certificate this Christmas – simply roll it up, put a little bow around it and stick it inside the DIY ornaments. 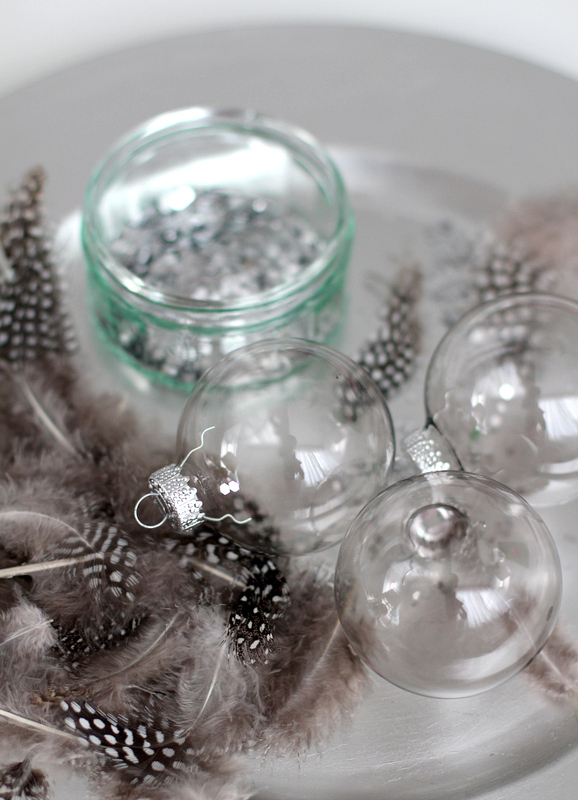 Start by taking the top (those metal pieces) off of the ornaments, then simply stuff each ornament with about 3 or 4 feathers. 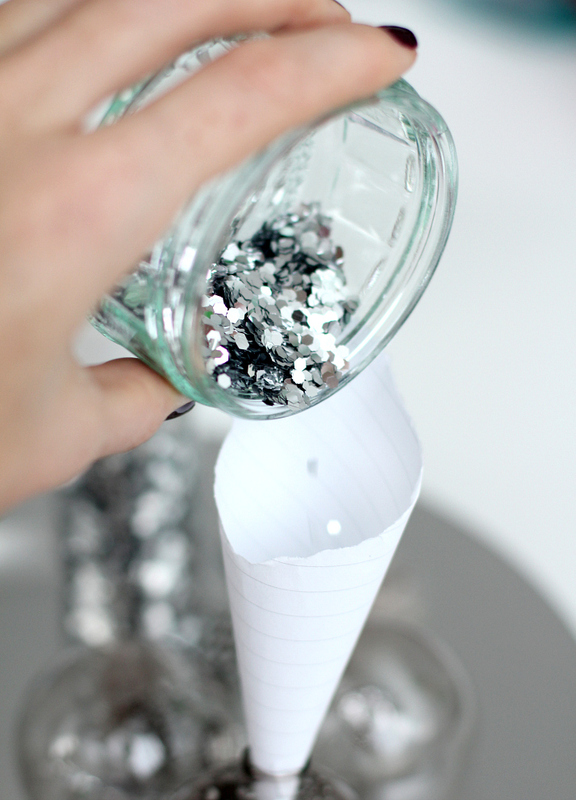 Next form a funnel out of your paper, then use this to fill the loose glitter into the ornaments. 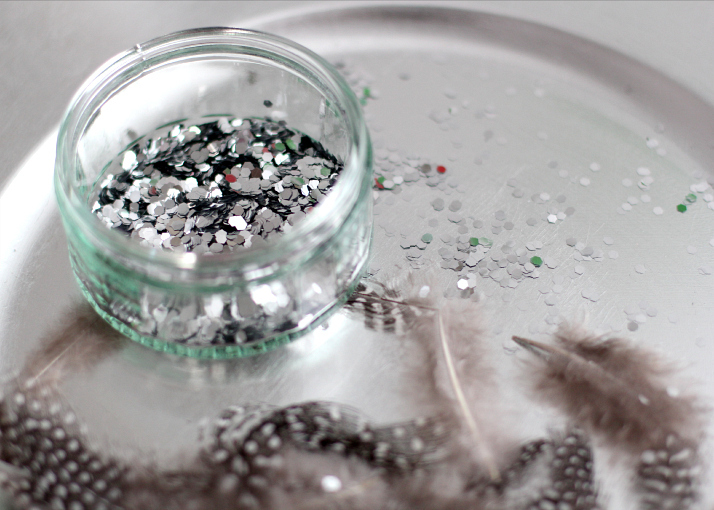 Once the glitter is inside, re-close them with those metal bits & shake well. 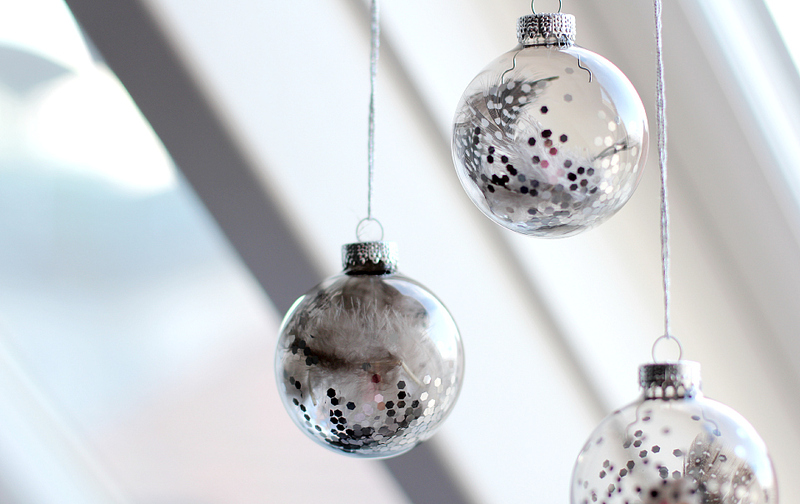 If you’ll like to hang the ornaments, add string in a color that matches the content. Voilá, done! Make your own Wedding Cake! Beauty-Waffen aus der eigenen Küche. 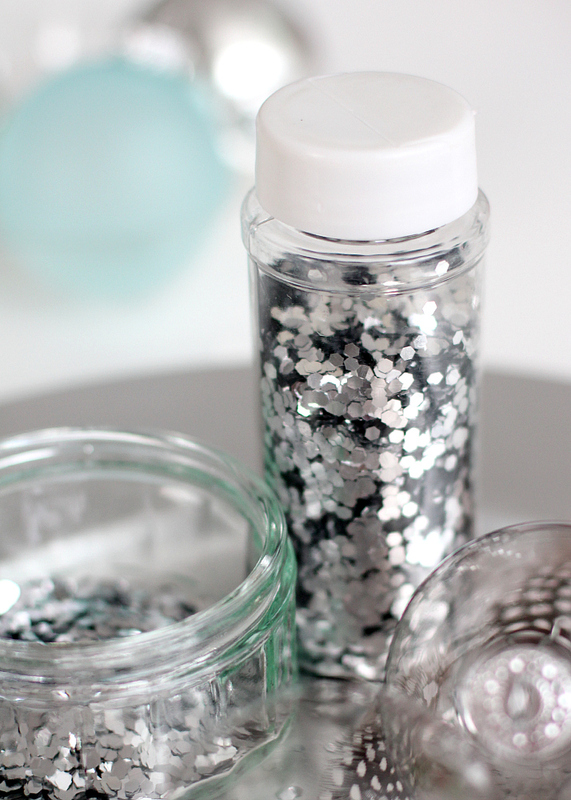 wir haben die Kugeln bei Depot gekauft, die Federn sind aus einem Bastelgeschäft & das Glitzer aus einem Faschingsgeschäft (Ed Witte am Naschmarkt).